Certified Prosthetists CP(c) are highly trained healthcare professionals, experienced in the design and manufacture of artificial body parts. They work closely with a team of medical professionals that may include your physician, surgeon and physical and occupational therapist to ensure the best results for each individual. Registered Technicians (RT) provide technical expertise in the design and fabrication of orthoses or prostheses and their components in such a manner as to provide maximum fit, function, cosmesis and workmanship. A Registered Technicians focus is on the tools, materials and technical skills necessary to build orthoses (braces and splints) and prostheses (artificial limbs). Their training includes kinesiology, biomechanics and rehabilitation to give an understanding of the body’s movements. Knowledge on many different types of orthotic and prosthetic devices, combined with their human movement training, allows Registered Technicians to provide exceptional reparation service as well. 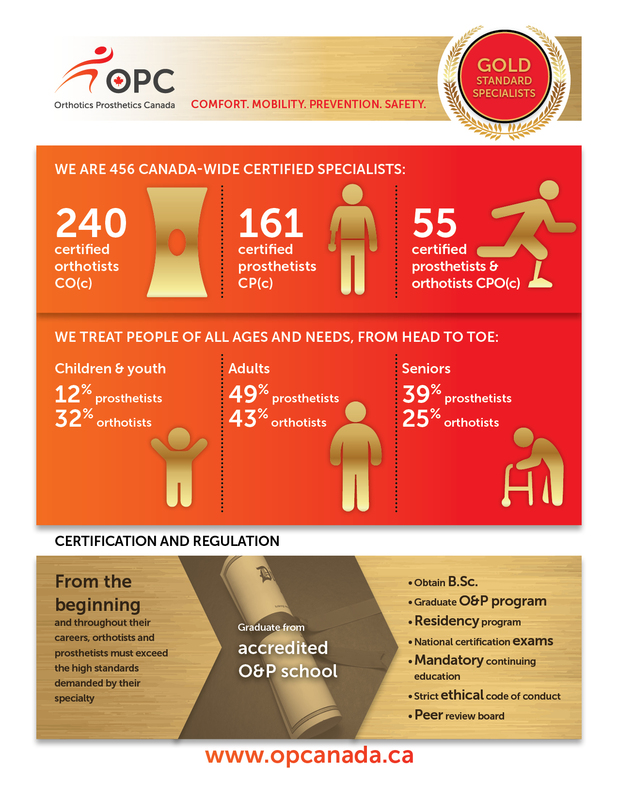 Whether your orthotic or prosthetic requirements are the result of injury, disease or congenital problems, OPC certified professionals are the professionals most prepared to determine the clinical needs and design the appropriate orthotic or prosthetic treatment. Please click on the image below to learn more about "The Patient Care Process"